Screening the right talent and identifying the job-specific skills of the candidates was one of the biggest pain points of recruiter till last decade. But with the emerging technology, HR world has also embraced pre-employment skill testing to make the hiring process hassle-free. From testing job-based skills to aptitude, analytical skills & job readiness; skill assessment software provides everything that is needed for candidate screening. In this post, I have compiled the top hot ways by which pre-employment skill testing is going to help your business. The total cost invested per candidate is 40%-70% of his annual salary that includes cost incurred in the hiring process as well as training. 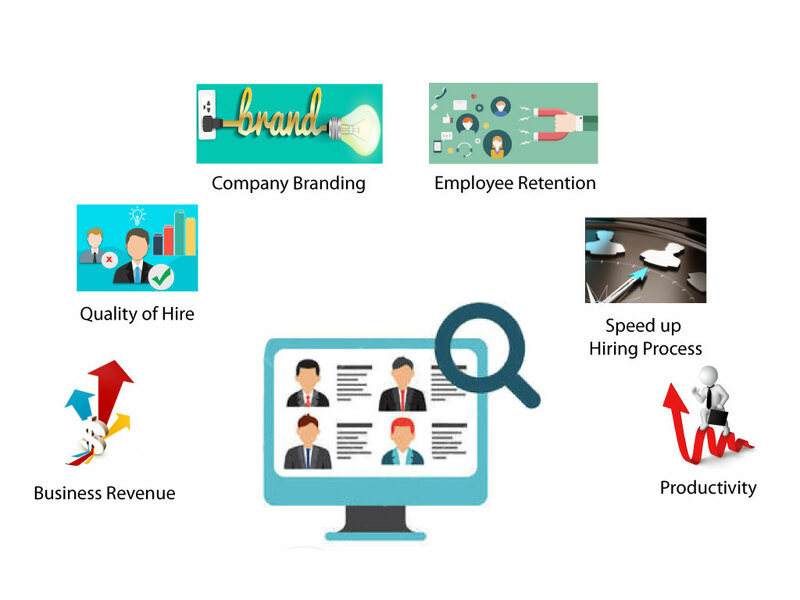 Pre-employment skill testing solution helps you to reduce this cost by providing you the detailed analysis of candidate’s knowledge in particular area. Depending on it, you can then decide the training program for that particular hire. It is found that skilled candidates that are shortlisted using skill testing become productive in less time & that results in reduced employee turnover. Match the job-role of the candidates with their strengths! When candidate plays on his strengths rather than weaknesses he will grow personally as well as professionally, that eventually helps your organization to grow. Use pre-employment skill testing solution to identify the job-based strengths of the candidate to offer him a place that will give your employee a better job satisfaction. It will increase the chances of employee retention to a great extent. You know what, candidates, as well as your current employees, help you to make your brand. But remember, they also have the capabilities to even defile your company’s image if not treated well. Keeping the candidate updated and engaged will help you to create the positive experience for them. When the candidates are happy with you, they will share their experiences in their own social circle, helping you to create a positive brand image among the job-applicants. If you wish that candidates should blow your trumpet, then you must make Interview Mocha’s online assessment platform your own! Why Interview Mocha? Because it will provide you an excellent experience to your candidates and a white-labeled platform for skill assessment for you! Improve the quality of hire by hiring the top talent with lower cost. To find out the employees who can perform, test their knowledge using Interview Mocha’s skill assessment test for their job-based as well as aptitude skills. The test contains application-oriented questions that help employers to analyze candidate’s problem-solving skills. If the candidate’s expertise matches to the key skills set required for the job role, you got your next best hire. The scientifically designed pre-employment skills tests help you to identify potential hires. Skill testing also gives you clear cut idea about when the employee is going to be productive as these pre-employment tests measure aptitude skills, work skills as well as job readiness of the candidates. The research has shown that valid & reliable skills testing and pre-employment assessments prove to be one of the best predictors of employee’s productivity. Online assessment software helps you to automate the candidate screening process that eliminates your administrative hassle & test the candidates for on-the-job skills. This automated screening process helps to reduce time & costs of the overall hiring process. With no hassles involved in candidate testing, you can use your spare time on interviewing the qualified candidates & finding out the best from the better ones. If you add skill testing in your recruitment workflow, it will work wonders for your business from getting your next best hire to increasing your company’s revenue. Interview Mocha’s skills assessment software provides you the largest set of online recruitment tests for almost every industry domain & job-role from entry-level to experienced hiring. It’s super easy to use & highly secure assessment platform is a cherry on top. So, what are you waiting for? Sign up & start testing your candidates now!